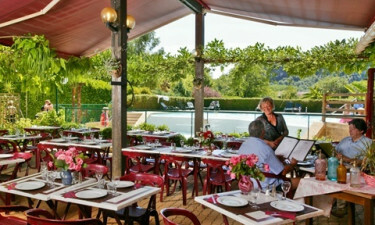 Set in the heart of the picturesque Vézère Valley next to a gently flowing river, La Riviere is a leading LuxCamp that people who enjoy spending time in the great outdoors are sure to love. the site is also a great place to relax and boasts a good selection of amenities and facilities. 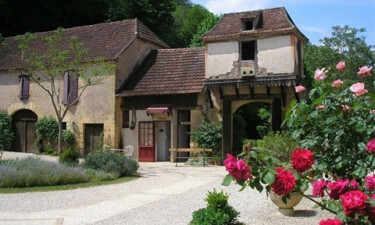 The charming town of Les Eyzies can be found just a ten minute from the site and guests will be able to spend time browsing for bargains and visiting the attractions here. There is also plenty for fans of luxury camping to do on the site itself such as volleyball, tennis, football and badminton. 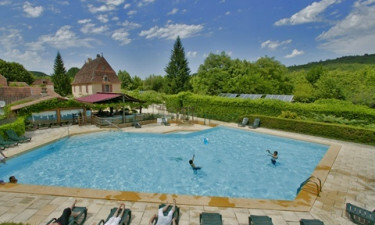 A large and lovely outdoor swimming pool can be found in the very heart of La Riviere. The surrounding palm and banana trees help to create a tropical atmosphere, while guests will also find plenty of sun loungers here. Guests will find and large and lovely lake just a few paces from their mobile home and this is a great place to unwind in style. A range of aquatic activities can be enjoyed here and canoe hire is available at La Riviere.